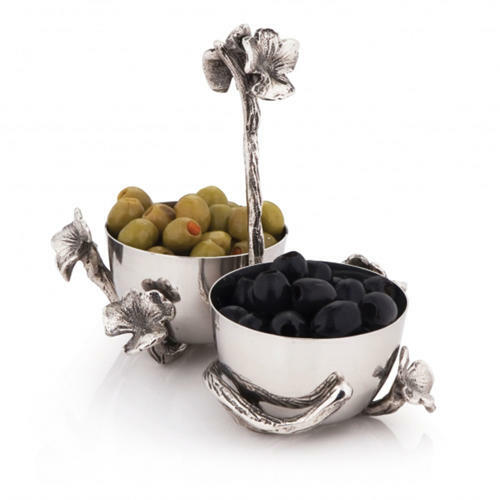 These delightfully decorative caddies are a great way to present tasty dips, chutneys and other nibbles. Both the double and triple bowl options include a delicate and distinctive bramble & flower handle, so it’s easy to carry and serve your treats. The bramble wraps around the bowls too, completing the overall effect.